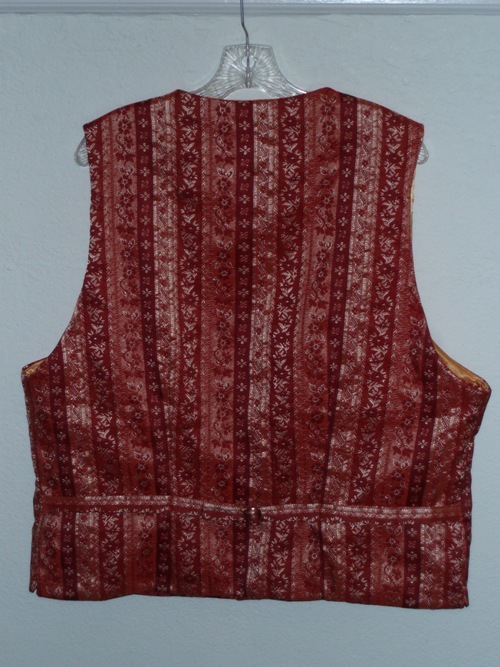 Waistcoats for Victorian events like Gaskell's and Dickens Fair. This pattern is works well for gentlemen who do not have period high waisted trousers as it runs longer than truly historical waistcoats. Notice in the back that there is several inches below the buckle belt. 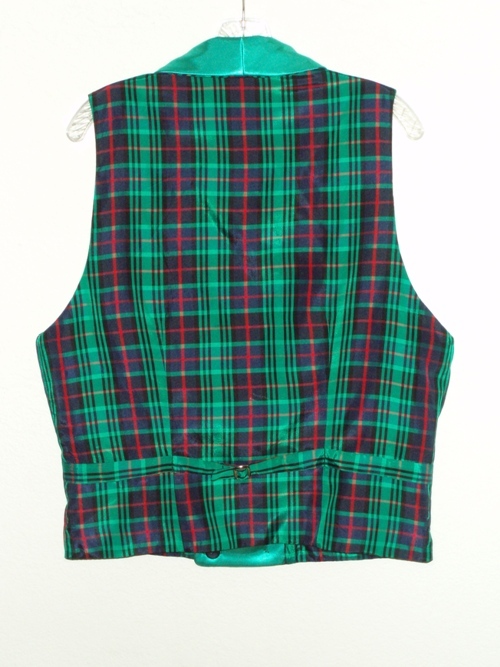 On a historical waistcoat the hem would be higher up and closer to the natural waist. 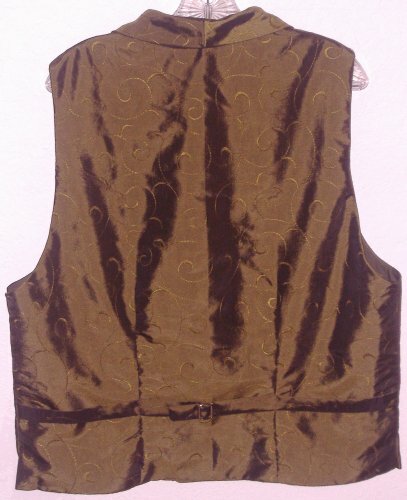 Olive embroidered taffeta polyester satin doublebreasted waistcoat with rolled collar. Tie back with buckle. Eight silver/gold tone buttons. Broadcloth cotton/polyester lining. In natural light looks more green. 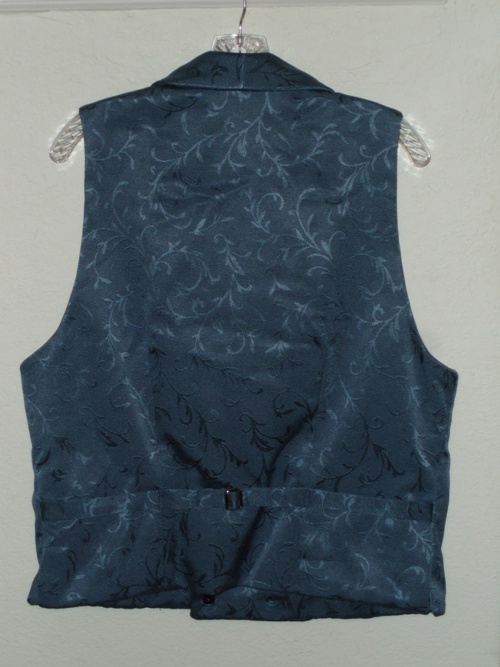 Terracotta and Gold Stripe XL 46-48"
Slate Blue L Tall 42-44"
Slate blue polyester double breasted waistcoat with rolled collar, front welt pockets, and buckle back. Cotton lining. Black and silver floral buttons. 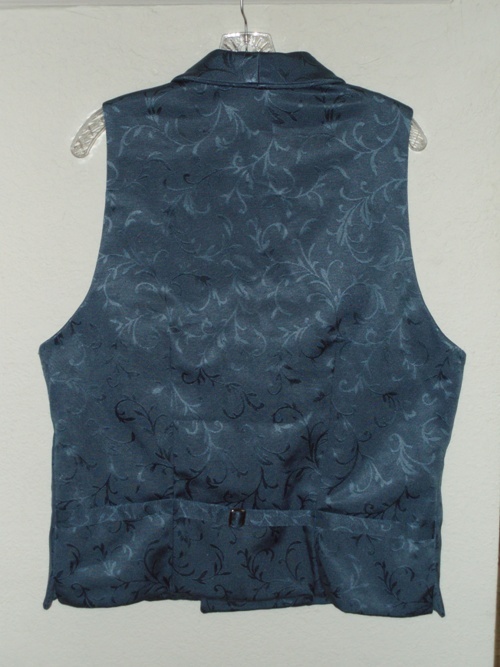 Butterick 3721 view C Size L 42-44".